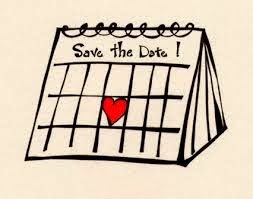 Happy Matrimony Monday, let's talk Save the Dates! Make sure you send them out at least 6 months before your wedding date. - If budget is a concern, send them only to out of town guests or intended guests you know will need to plan far in advance. - Save the Dates are a must if you are having a Destination or Holiday wedding. - Remember to add "Invitation to Follow"
- Don't forget to include your wedding website URL.